ts as soon as they occur, taking off your shoes before you walk on the carpet, and vacuuming frequently will go a long way towards helping keep your carpet clean between professional visits. Carpets that are not regularly cleaned will not only look dirty, but they can become smelly, too. Beyond vacuuming regularly, your carpet will also benefit from a professional deep cleaning. Contact Nu-Way Carpet Cleaning in Troy, Michigan to schedule your next carpet cleaning appointment. Located in nearby Oakland County, the city of Troy was first settled in the early 19th century. 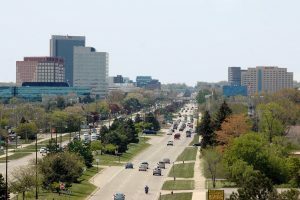 A suburb of Detroit, it is the 11th largest city in Michigan by population and the largest in Oakland County. Troy is known for being one of the safest cities to raise a family in, and has been ranked on the list of “Best Place to Live” in the United States several times. The city features a vibrant business and technology center and several large corporations including Delphi, Flagstar Bancorp, and Kelly Services are headquartered here. Below is a list of important contacts in Troy, Michigan that you may need. If you would like to schedule a consultation or cleaning, please call us at (586) 991-3800. Only $25 per room! Nu-Way is a family-owned and operated business. We have been serving residential and commercial customers for over 30 years! We are dedicated to using environmentally safe products and our technicians are certified to use our state-of-the-art truck-mounted system. You’ll love the results!